Ruth Bussey once did something wrong – horribly wrong – and was nearly destroyed by her punishment. Now, she has tentatively rebuilt her life and unexpectedly found love with a man named Aidan Seed. But Aidan also has a secret, and one day he confides in Ruth: years ago, he killed a woman named Mary Trelease. Ruth's initial horror turns to confusion when she realizes that she knows Mary Trelease, and Mary is very much alive. So why does Aidan insist that she’s dead? 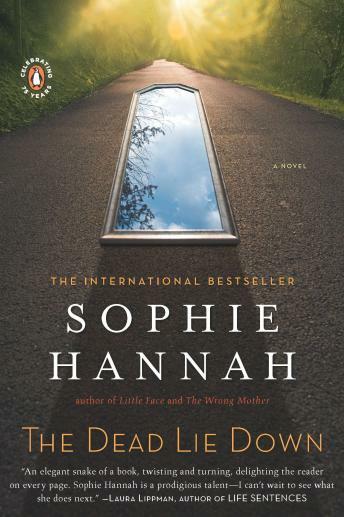 The fourth book in Sophie Hannah’s beloved Zailer and Waterhouse series, The Dead Lie Down is a sophisticated, addictive page-turner that will appeal to fans of Laura Lippman and Tana French.